One of America’s top cancer researchers was forced to resign following an investigation that found he intentionally falsified data on cancer research on behalf of Big Pharma. Ching-Shih Chen, one of Ohio State’s senior cancer researchers, was found to have committed research fraud on at least 14 cancer research projects over the last 17 years. Thelantern.com reports: The university announced his departure Friday, more than five months after he resigned, with the release of the investigation documents. Chen’s misconduct and departure is significant because it comes amid what university officials say is a national trend of increased research misconduct, and the announcement arrives just weeks after Ohio State unveiled its plans to improve its misconduct investigative practices. The university named Chen the innovator of the year in 2010 for a research project that developed two groundbreaking anti-cancer drugs. That research breakthrough ultimately played a role in Chen’s downfall. Research about a drug he developed at Ohio State in 2008 and licensed to a biopharmaceutical company for patient testing that led to him receiving the award contained data he falsified. Six well-known institutions and organizations used or published Chen’s work and were notified of his misconduct as a result of the investigation. These include: Data Safety Monitoring Committee; Western Institutional Research Board; the Federal Drug Administration; the Office for Human Research Protections; the Ohio State University Innovation Foundation; and Arno Therapeutics. During Chen’s career at Ohio State, he received more than $8 million in grants from the National Institutes of Health, according to the NIH database, as well as funding from the Pelotonia Fellowship Program and the Stefanie Spielman Fund for Breast Cancer Research. Roughly $5.9 million in grant money was used to fund research related to Chen’s misconduct, according to university spokesman Chris Davey. The university was notified of Chen’s research misconduct by an anonymous email sent to the research office that contained six allegations of data falsification ranging from 2010 to 2014. An investigation led by Jennifer Yucel, director of the Office of Research Compliance, resulted in the seizure of Chen’s personal laptop and his external hard drive, which contained manipulated images relating to more than a dozen studies. While six initial allegations kickstarted the investigation, an additional 15 allegations dating back to 2001 were found along the way. Some of Chen’s misconduct could have impacted cancer patients in various trials that used his research. He manipulated data on compounds to be used on humans in clinical trials, a “highly significant and incredibly dangerous” act, according to the investigation documents. The documents outlined several falsifications performed by Chen, often analyzing why the researcher would commit such fraud. For example, in one analysis, the investigation committee concluded the doctor likely cropped and pasted lanes into a blot, a measure of protein expression and changes, “so that it showed a constant and equal protein expression” in his findings. That allowed his work to gain credibility because it showed a positive outcome relating to the protein. Chen’s manipulations included cropping images, reusing blots and pasting lines on images published as supporting data. Chen’s laptop was crucial in building the investigation because the computers and servers in the lab where he worked had no saved records. Additionally, his lab had no notebooks kept, which is against state and federal policy. His laptop had time-stamped images that showed he manipulated the data in order to prove his findings, the investigation revealed. His hard drive had saved files of images with timestamps that showed when they were last worked on. In several instances, two of what seemed to be the same image were saved under similar names, but one was found to be slightly different than the other, proving Chen altered the photographs with different times and dates. He also still had raw files on his hard drive when it was sequestered, adding to the evidence that Chen was likely the one who manipulated the findings because only a person in possession of the raw data would likely be able to convincingly falsify it. In one particularly troubling instance, Chen admitted to altering figures by falsely labeling the experimental conditions because he was frustrated that a student researcher did not complete the work faster. This act of ”intentionally falsifying data on compounds specifically intended for patient use is highly significant and incredibly dangerous,” the investigation documents state. 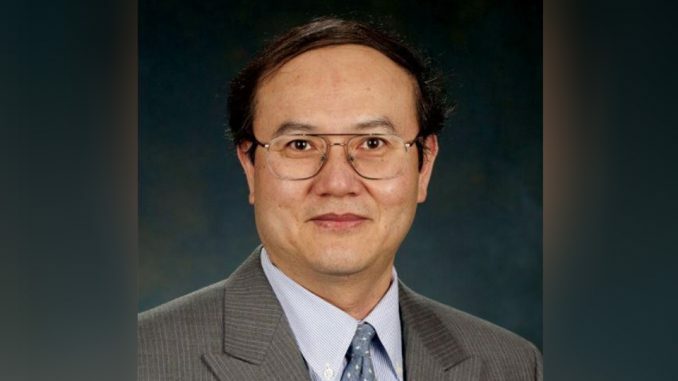 According to the investigation, Chen often blamed any issues with the data on postdoctoral researchers or other lab workers, but the findings proved Chen was solely responsible for research misconduct relating to the manipulation of 14 different studies, referred to as manuscripts in the investigation. “The investigation committee found no evidence of any intentional, knowing, or reckless behavior by any of the other co-authors to indicate a potential role by anyone other than Dr. Chen in the misconduct,” the investigation document states. Several of Chen’s research staff members were contacted but were not available to speak on the matter. A committee made up of three Wexner Medical Center faculty investigated the 21 allegations against Chen. The group included: Alex Sparreboom, the chair of the College of Pharmacy; Rajgopal Govindarajan, an associate professor of pharmaceutics and pharmaceutical chemistry; and Karin Musier-Forsyth, the Ohio Eminent Scholar and a professor of chemistry and biochemistry. The group began meeting in response to the allegations March 29, 2017. It met 10 times total, and concluded Sept. 8, 2017 with a recommendation to terminate Chen, although Chen admitted wrongdoing and voluntarily resigned. The university did not notify the public of Chen’s resignation until Friday. In fact, the only hint of detail that pointed toward the researcher’s wrongdoings are a few of his Ohio State pages, which are not functioning properly. When asked about the timeline in which the university released this information, spokesmen did not immediately provide an answer explaining the timing, but then noted the five-month period was necessary in conducting the investigation. This is not the first high profile cancer researcher to undergo investigation for research misconduct. In March 2017, around the same time the university was investigating Chen, another prominent figure, Carlo Croce, was revealed in a New York Times article to have a history of falsification allegations made against him and his research. The university responded by beginning an independent review, which cleared Croce of any wrongdoing. He is still working at the university. To combat what university officials call a national trend of increased research misconduct, Ohio State asked a law firm to examine its investigative processes into research misconduct. The review resulted in the university cementing written-out specific policies on its sequestration, which is the collection of data, and internal investigation practices. In addition, the university is forming a permanent misconduct committee and implementing online training for its more than 25,000 research-eligible individuals. Chen’s salary was $218,403 including bonuses and overtime and $181,194 as annual base pay, according to 2016 data.